Please join us on February 17th for our Valentines Dance! We will be teaching dance classes so you can get out on the floor with that special someone. Afterwards, enjoy a evening of dessert and wine over candle light and music by Dean Martin, followed by a professional showcase performed by our instructors, staff and students. To finish off the night, we will turn the lights down and let you take a shot on the dance floor. 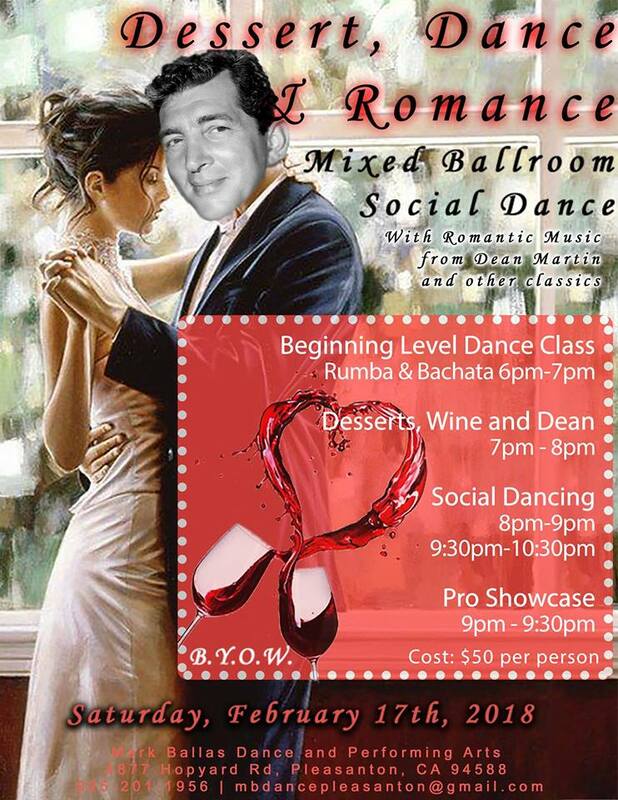 Enjoy the rest of your night with some intimate social dancing. If you have any questions please call 925-201-1956, email mbdancepleasanton@gmail.com or message us here!